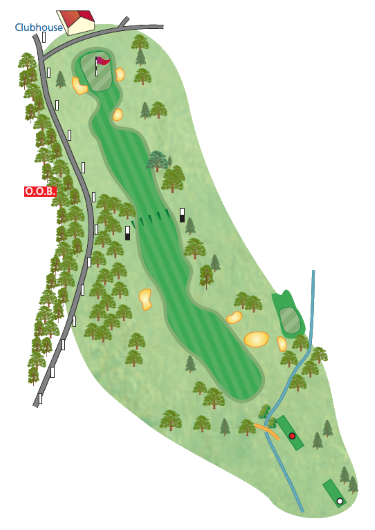 The final hole is similar to the 18th at Augusta. A long par four, slight dogleg left to right climbing uphill all the way to the green. A driver from the tee, aiming at the bunker on the left of the fairway, will leave a long iron or fairway wood into the green. A bunker some 40 yards short of the green will catch any shot that is under hit. If you manage to find the green, your work is not finished because nowhere on this green will you have a straight or flat putt.